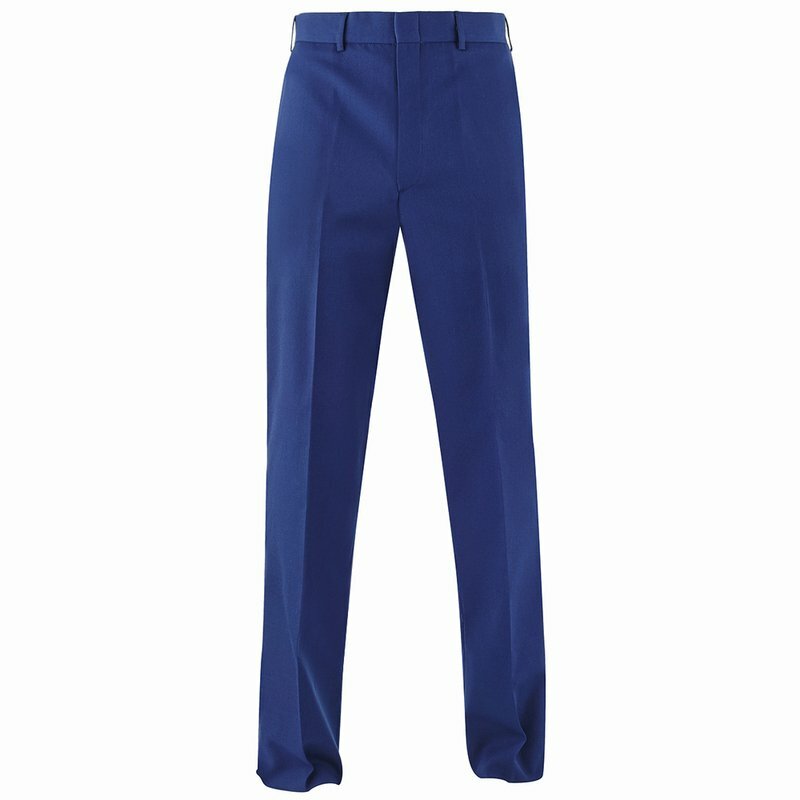 The Marine Corps Dress Blue Trousers can be worn with the Dress Blue Coat as a formal or ceremonial uniform. Also, the trousers can be worn as a Class C uniform with the long or short sleeve khaki poly/wool shirt. The Dress Blue uniform is the only U.S. military uniform that incorporates all three colors of the U.S. Flag. There are three different variations of the Dress uniform: Evening Dress, Blue Dress, and Blue-White Dress; only officers and SNCO (Staff Non-Commissioned Officer’s) are authorized to wear the evening dress.